Having a strong and fair environment policy is quite important, since development relies heavily on our environment. Thus, it is imperative to maintain an environmental policy for the company that ensures safe growths and manufactures. 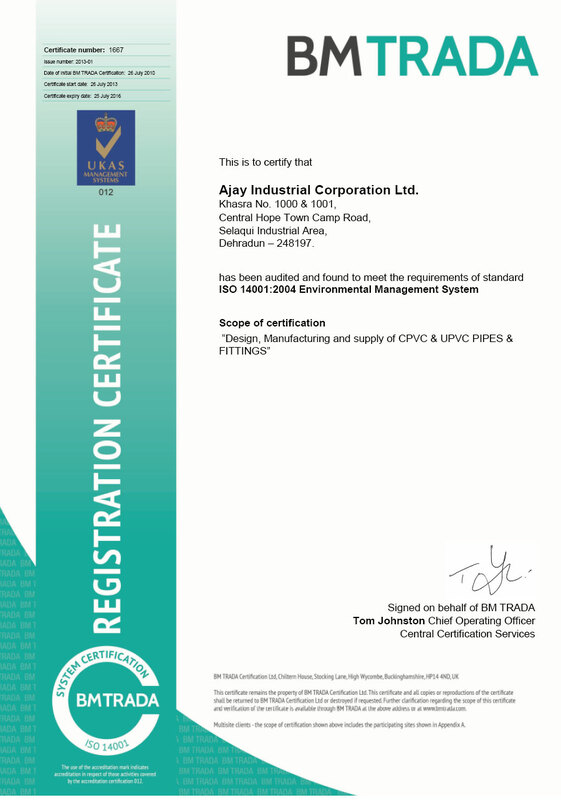 Ajay Pipes ensures to comply with all the necessary environmental protection policies and clauses. Any organic or raw materials used by us, we vow to use them to their maximum potential, properly utilizing them so as to reduce wastage. Ajay Pipes uses all available, modern technologies which are important to ensure decrease environmental impact in terms of pollution and resource management. Furthermore, we vow to keep improving and re-strengthening our environment policy by taking up new production measures and technologies, including skilled workers who are trained to do so.